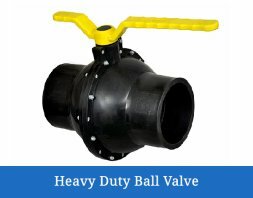 Our company holds the specific value in manufacturing of all types related to the Heavy Duty Ball Valves in India. Our products are manufactured with the individual care and also using the new techniques and methods to overcome at the top place as compares to the other companies. We are involved in offering unmatchable quality of Heavy Duty Ball Valves. The offered Heavy Duty Ball Valves are extensively used in various suitable applications and available in market in different sizes. This valve is completely made up with the stainless steel materials thus, it provides the long lasting service and also it is light in weight. It's all stainless steel body construction also prevents splitting that can occur with cheaper brass valves. Matching up with the ever increasing requirements of the customers, our company is engaged in providing Heavy Duty Ball Valve.